Marquette is now a member of “eduroam”, a service that allows anyone affiliated with Marquette to gain wireless network access at 5,500+ institutions connected to eduroam. It also allows visitors from eduroam member institutions access to our Marquette wireless network without the need for a guest account. Who is Part of eduroam? Participating institutions include several U.S. Jesuit schools and many local universities such as the University of Wisconsin system schools. Before travelling, check to see if the campus you are visiting is an eduroam member. How Do I Use eduroam While Away from Marquette? Logging on while at a participating institution is often as easy as opening your wireless connections, choosing the eduroam network by name, and then entering your Marquette email address and password. Can I Test eduroam at Marquette Before I Leave? Marquette users can test the eduroam connection on Marquette’s campus before traveling to verify that all settings are correct. While on the Marquette campus and near a wireless hotspot, open your wireless connections and select the eduroam network name. You are prompted for a username and password. 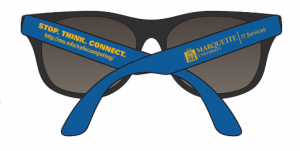 Enter your Marquette email address (e.g., firstname.lastname@marquette.edu) and password. Please note that you must enter your full email address, including @marquette.edu. If this is your first time connecting, you will be prompted to accept or download the eduroam certificate. This is a self-signed certificate used to ensure you’re connecting to the correct network. Once the certificate is accepted, you will be authenticated using your credentials. If successfully authenticated, you will be placed on the eduroam wireless network. This network is limited to web browsing (i.e., you will not have access to student, faculty or staff resources). Once you have successfully connected to eduroam, be sure to switch back to your standard Marquette wireless setup.Marquette University users should not use eduroam regularly on Marquette’s campus network. Celebrate National Cyber Security Awareness Month with free software and sunglasses. October is National Cyber Security Awareness Month. Recognize the month by upgrading your security software and scoring a new pair of sunglasses. Information security is our shared responsibility, visit the NCSAM website for more information. Symantec Endpoint Protection is available for all student, faculty and staff home use at no charge. Symantec’s award-winning technology protects your computer from viruses, trojans, worms and malicious spyware. Installers for Mac OS X and Microsoft Windows 7/8/10 platforms are available online. Please uninstall any other security software (McAfee, ForeFront, Norton, etc.) prior to installing Symantec Endpoint Protection. Marquette University “STOP. THINK. 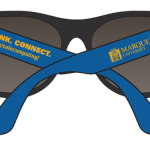 CONNECT.” branded sunglasses are available at the IT Services Help Desk (Cudahy 293). More information on “STOP. THINK. CONNECT,” is available online. Follow the IT Services Twitter account and digital signs across campus for more information about National Cyber Security Awareness Month. Marquette University faculty, staff and students are automatically eligible for free 4-year licenses of Microsoft Office 365 Suite on personal computers and mobile devices. The Microsoft Office 365 suite includes Word, Excel, PowerPoint, Outlook and OneNote. In addition, 1TB of free online OneDrive cloud storage is available for backup and sharing of files with others. The Engineering Hall building and Professor Dr. Dan Zitomer were featured several times in the new Marquette University commercial “Off-Hours at Marquette University.” Can you spot all ten scenes showing Engineering Hall? Through the course of using the Internet and your computer, you may have come in contact with computer viruses. Many computer viruses are stopped before they start, but there is still an ever growing concern as to what computer viruses do and the list of common computer virus symptoms. A computer virus might corrupt or delete data on your computer, use your email program to spread itself to other computers, or even erase everything on your hard disk. 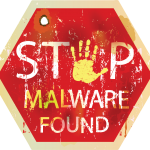 Viruses can be disguised as attachments of funny images, greeting cards, or audio and video files. Computer viruses also spread through downloads on the Internet. They can be hidden in illicit software or other files or programs you might download. Introducing the IBM Quantum Experience, the world’s first quantum computing platform delivered via the IBM Cloud. 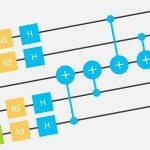 On Wednesday, May 4, for the first time ever, IBM is making quantum computing available via the cloud to anyone interested in hands-on access to an IBM quantum processor, making it easier for researchers and the scientific community to accelerate innovations, and help discover new applications for this technology. This is the beginning of the quantum age of computing and the latest advance from IBM towards building a universal quantum computer. A universal quantum computer, once built, will represent one of the greatest milestones in the history of information technology and has the potential to solve certain problems we couldn’t solve, and will never be able to solve, with today’s classical computers. We are in the midst of writing a new chapter in the history of computation. Today, classical physics define our thinking, our experiences, our computers, and ultimately how we process information. The classical model of computing used today is on the verge of reaching its limits. Quantum computing has the potential to solve certain problems that are impossible to unravel using today’s most powerful supercomputers. Known malicious web addresses in email messages will be blocked. 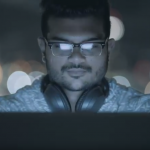 Proofpoint filtering will quarantine messages containing spam before they reach your Inbox. Spam emails will be held in your personal quarantine. If messages are quarantined, you will receive an End User Digest email that notifies you about quarantined emails every five days. 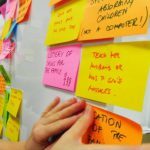 Do not forward your End User Digest email to others because it contains a unique, direct link to your personal quarantine. Suspect emails will be quarantined for 14 days then automatically deleted. 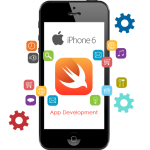 You will be able to access quarantined emails and release any mistakenly held emails. Previously blocked senders and safe senders will not be available in Proofpoint. You can add email addresses to your Proofpoint Safe Senders List to always receive messages from specific senders. And you can specify email addresses on your Proofpoint Blocked Senders List to always block messages from unwanted senders. 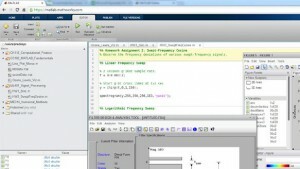 MATLAB Online™ provides access to MATLAB® from your web browser. This service is available to all Marquette faculty, staff and students. Just log in to use MATLAB. Please refer to the MATLAB installation instructions for information on setting up a Mathworks account. With MATLAB Online, your files are stored on MATLAB Drive™ and are available wherever you go. MATLAB Drive Connector synchronizes your files between your computers and MATLAB Online, providing offline access and eliminating the need to manually upload or download files. You can also run your files from the convenience of your smartphone or tablet by connecting to MathWorks® Cloud through the MATLAB Mobile™ app. MATLAB Online facilitates collaboration by enabling you to share files with friends or publish them as formatted HTML or PDF documents.